I am a digital, content, and SEO marketer with over 8 years of experience connecting people with the brands they love. In my spare time, I write, draw, and release a line of original, creator-owned digital comics and graphic novels. There's a bit of overlap in there somewhere. I grew up in the sun-soaked streets of Los Angeles, CA in the 1980s, where my family owned an independent print shop in the Pico-Union neighborhood. I went to middle school at 32nd Street Visual & Performing Arts Magnet, where I first began cultivating my interest in the arts. I was accepted to and graduated from the prestigious Alexander Hamilton Academy of Music in 1999, where I studied electronic music, theater, and visual arts. 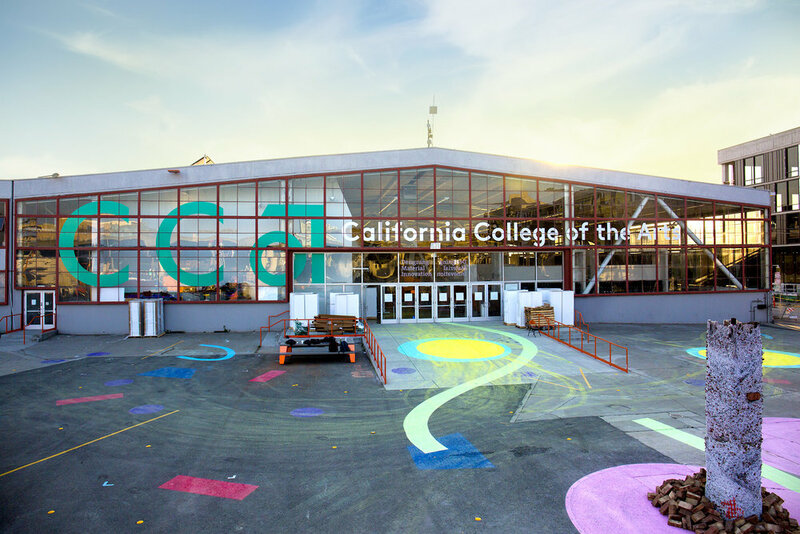 I then made my way up the coast to the San Francisco Bay Area, where I further developed my creative skillset at the California College of the Arts. 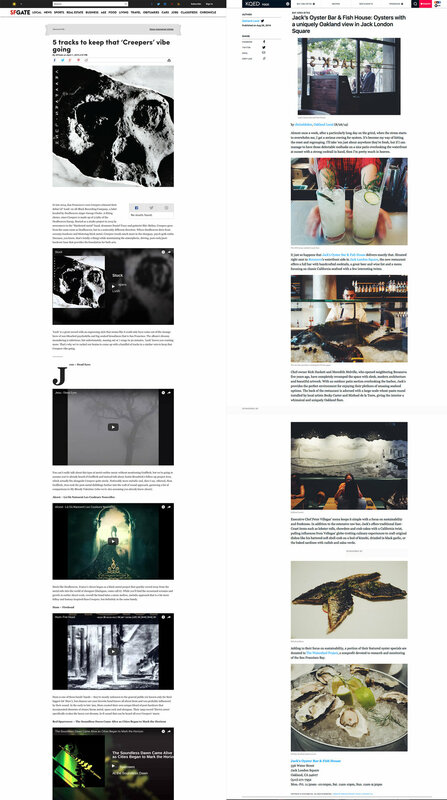 Studying everything from filmmaking to graphic design, screen printing, painting, creative writing, and more, I found that I had a real talent for telling stories across a wide variety of mediums. I received my BFA in 2005. Upon entering the professional world, I had the amazing opportunity to get my foot in the door at the legendary concert production company Bill Graham Presents. It was there that I learned the incredible amount of hard work, passion, dedication, and roll-up-your-sleeves grit that it takes to cut your teeth in the live music industry. That ethos has stuck with me ever since. I currently oversee recruitment marketing for one of the top art and design colleges in the country, which (completely coincidentally, of course) just admitted its largest class of first-year freshmen in the school’s history. Rebranded 3 independently-owned and operated live music institutions (Slim’s, Great American Music Hall, and Hardly Strictly Bluegrass festival) into one powerhouse brand producing hundreds of concerts, festivals, comedy shows, and interactive experiences every year, while pioneering digital content marketing strategies in the industry. Was responsible for a majority of Live Nation’s internal San Francisco ticketing operations for The Fillmore, The Warfield, The Masonic, and more, including staffing, operations, accounting, and promotions. 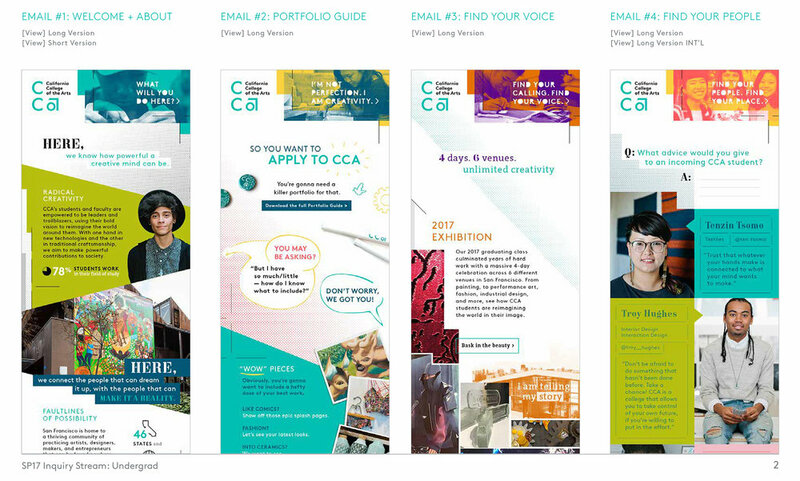 I researched, outlined, copyedited, and SEO optimized a suite of inbound marketing content for 3 of CCA’s Graduate Studies programs that led to an increase in applications. Since this decision-stage content was targeted at a highly sophisticated audience of college graduates researching a graduate degree in Design, it needed to be informative, engaging, and authentic without being sales-y. And due to limited budget, it needed to be done with minimal access to copywriters. I began by conducting interviews with key stakeholders to determine their audience’s most frequently asked questions, which I then used to create a series of questionnaires to be filled out by current students, alumni, and faculty. Their (copyedited) responses formed the bulk of each piece, leaving copywriters only a few intros, closing paragraphs, and headlines to write based on my keyword research. 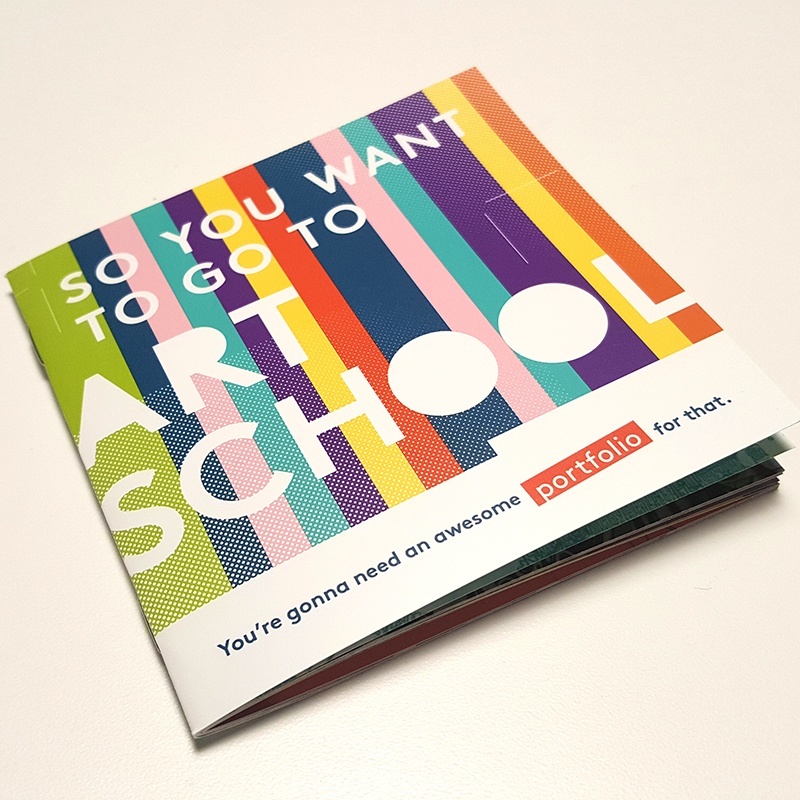 A 19 page, pocket-sized print piece with helpful advice for students interested in improving their art portfolio to apply for schools. I worked closely with admissions stakeholders and in-house designers to craft a quirky, zine-inspired guide that could be given out to students at on-site visits, college fairs, and as a digital premium content offer for inbound marketing campaigns. An 8-email drip campaign nurturing prospective students towards application. I analyzed data from admitted student and cancelation surveys to define key decision-making criteria and develop a campaign that addressed common user concerns by reinforcing the brand's major proof points in a fun and engaging way. The campaign (still ongoing) has already seen an increase in conversion rates (leads to applicants). 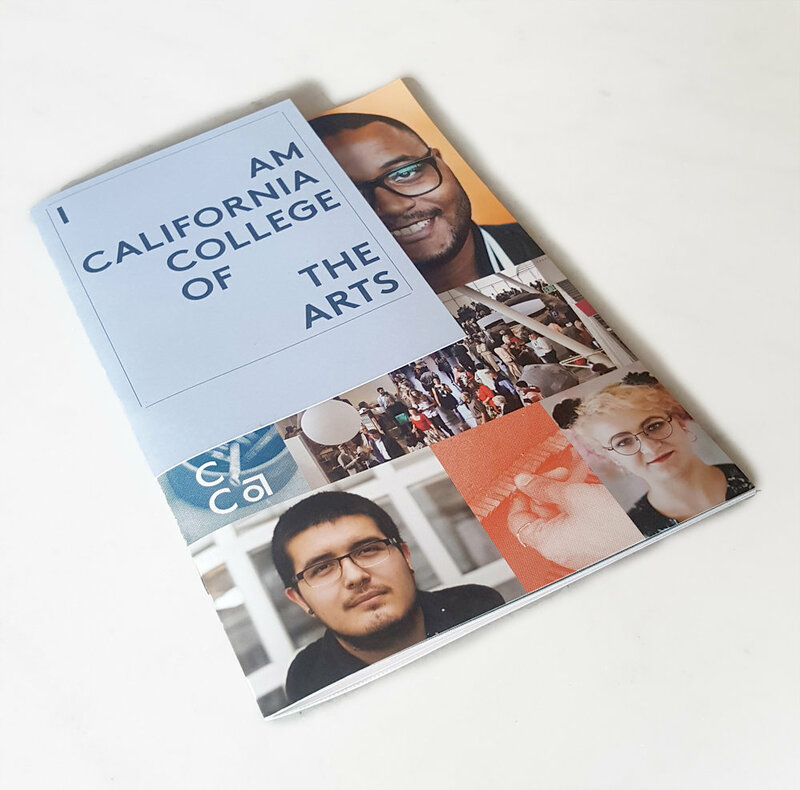 I worked closely with admissions stakeholders and the Bay Area design firm, Volume, to create this 28 page catalog (with additional 12 page custom, off-size inserts) that profiles 4 CCA students, while touching on some of the institutions core proof points in a poetic fashion. For my second website redesign for the Slim's Presents brand, I worked with a freelance designer to create a dynamic, fully responsive, mobile-first website inspired by the infinite browse-ability of sites like Netflix. The site was the first deep API integration of the Eventbrite ticketing system into a large-scale venue website. In an effort to improve the performance of the brand's owned marketing channels, I implemented analytics tracking data and A/B testing to develop a revised email marketing strategy (and design) that more than doubled clickthrough rates and conversion rates. In my role as Marketing Manager for Slim's Presents, I focused heavily on content marketing, booking and hosting podcasts, conducting interview pieces, producing exclusive live performances, and creating ongoing web series' that helped to grow brand awareness and affinity with several key audiences. As a marketer, I've focused heavily on content as a way to grow brand awareness and affinity, including developing coverage for several Bay Area publications, such as SFGate, KQED, Oakland Local, and more. 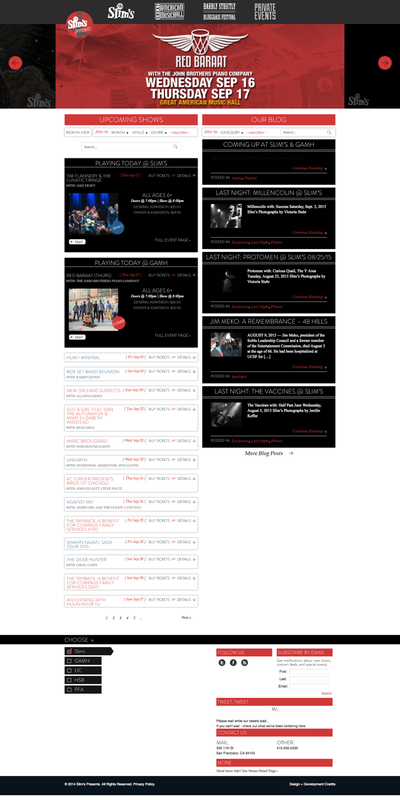 One of my first projects as Marketing Manager at Slim's and Great American Music Hall was a branding project disguised as a website redesign project. 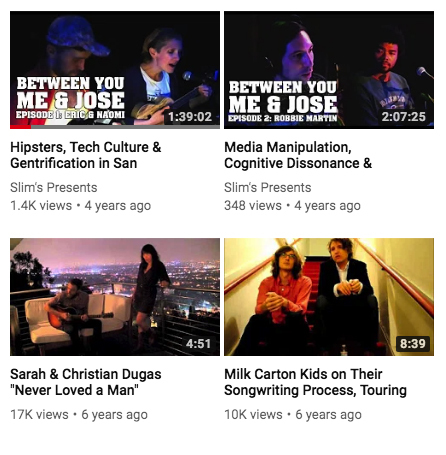 I took what was previously 2 different identities with separate audiences and online presences, and consolidated them under a single umbrella (along with the Hardly Strictly Bluegrass Festival) as Slim's Presents. The new brand and accompanying site focused on building a strong presence as a local, independent music institution in direct competition with the major corporate players that were taking over the landscape.